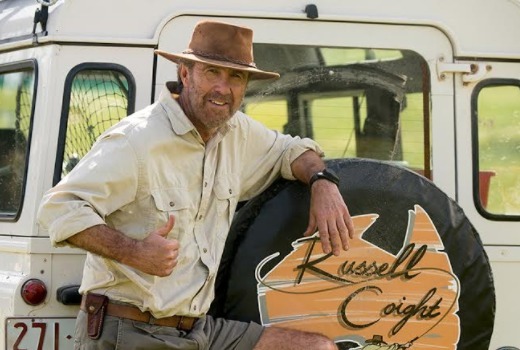 With Glenn Robbins returning to screen as his much-loved outback character Russell Coight, TV Tonight recently asked him how the character came about. All Aussie Adventures hit screens in 2001, but the idea came from Working Dog’s Tom Gleisner. “I was doing The Panel and I would walk past his office a few times and he’d say ‘I’m playing around with this whole world of Steve Irwin, Troy Dann, The Leyland Brothers and I reckon there’s a character in there,'” Robbins recalls. Robbins says he replied in his usual self-deprecating demeanour. All Aussie Adventures ran from 2001 – 2002 with a telemovie in 2004. It returns in 2017, ready for more bushcraft and self-injury. I’m not sure about how well this will do now! People r more uptight nowadays so not sure about its success now! Clearly Network Ten is basing this on the recent success of reruns on One! Still will be interested to see how it goes! Yes! So excited for this! I was pretty young when the original series came out so the dry humour went straight over my head. Fortunately, thesedays I’ve come to adore this show and Glenn Robbins. All Aussie Adventures has definitely gained a cult following in the last few years, I think. Wallaby Jack. The Late Show. Yes, so awesome. I didn’t think we’d see another series of All Aussie Adventures but great to see that’s not true. Yep, bring it on. Uniquely Aussie.